Here is the flash file or firmware for the Samsung copy J7 2016 phone, which has MTK CPU and runs on Android 4.4 operating system. If you need or searching for Samsung J7 2016 clone SM-J710 MT6572 firmware then here you will get the firmware to download and flash or Upgrade the J710F MTK 6572 smartphone. Download the Samsung Clone/Copy firmware below and flash with SP flash Tool or Miracle Box, the firmware has read with Miracle Box with Android Scatter file. 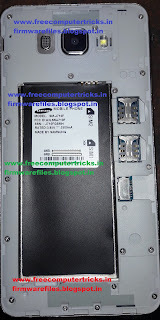 Samsung_Clone_SM-J710F_MT6572_Firmware.rar Download from the below link. I have a samsung J7 Clone SM-700.4G duos.Recently i flash it with MT6572__Samsung__SM-J700H__Galaxy_J7__4.4.2__ALPS.KK1.MP7.V1 file.But it shows ERROR 4032 : Enable DRAM failed! .I dont know how to find correct software for my device.Kindly any one have idea ? then please share with me. Always do a full backup of Chines Samsung Clone phone, then flash with downloaded firmware, because in case of Clone phone it's difficult to find the exact firmware with support the phone's motherboard and in same model of these phone you will get different motherboards. So just do back up the firmware and then you can flash the phone, sometimes the phone may dead due to wrong firmware. First backup and then try the following firmware. Take a full flash backup and the try to flash the phone.